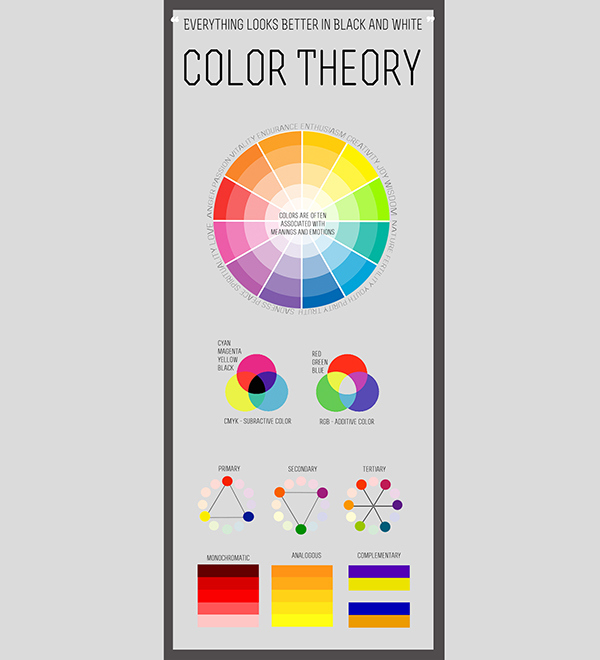 While researching on color theory, I came across a color chart that was designed terribly. All the colors were pastels with the related emotion/meaning next to them and a pastel red made no sense next to the word "anger". So I thought to myself, "This might as well have been in black and white." 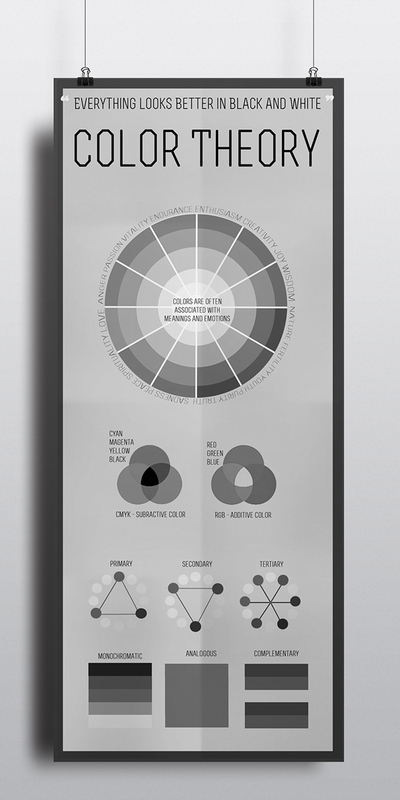 So in the spirit of irony, I decided to create a black and white color chart.